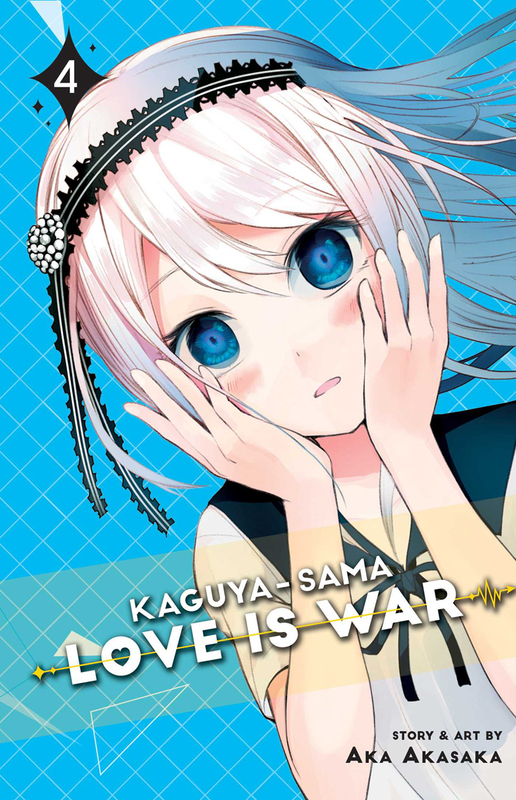 Kaguya-sama: Love Is War manga volume 4 features story and art by Aka Akasaka. 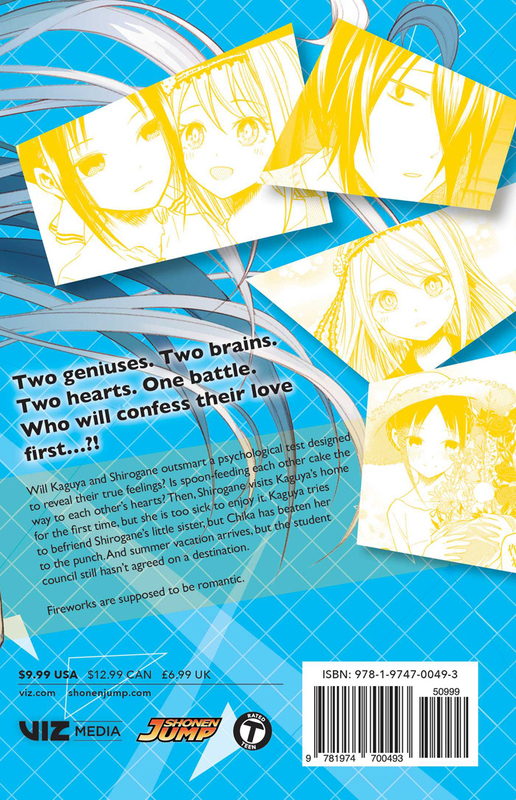 Will Kaguya and Miyuki outsmart a psychological test designed to reveal their true feelings? Is spoon feeding each other cake the way to each other’s hearts?